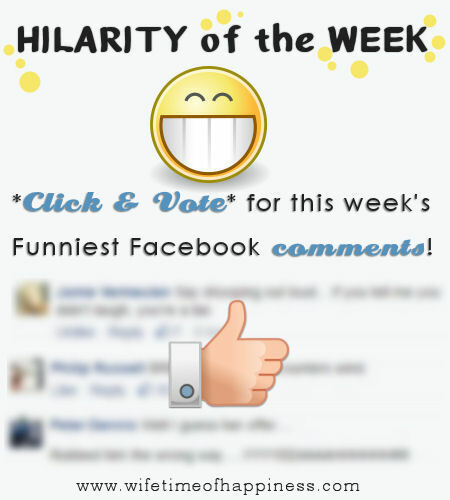 Welcome to this week's collection of Funny Facebook Comments!… Come on inside to *VOTE* for your favorite funny comment and find out last week's winner! This entry was posted in Hilarity of the Week and tagged funny comments on facebook, funny facebook comments, funny people on facebook, funny people online, hilarity of the week, johnson and johnson tear free shampoo, scary clown. This entry was posted in Hilarity of the Week and tagged funny comment, funny facebook comments, funny online comments, funny people online, funny polls, hilarity of the week, online comments funny, online humor, ridiculous facebook comments, ridiculous online comments, ryan lochte, update on kardashians, voting polls.